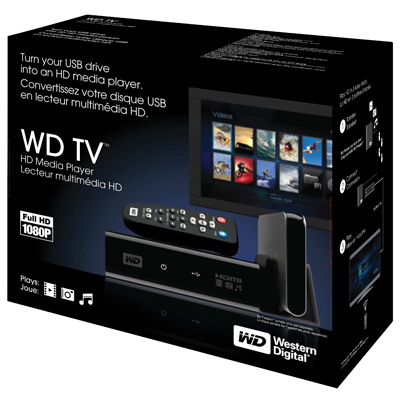 WD has put a new device on the market, and it’s called the WD TV HD Media Player. It’s a small box that can connect to a TV via HDMI or Composite output cables, and can take most USB external hard drives as input (it should even read USB flash drives as long as they’re formatted in FAT32). Once a device is connected, the WD TV will read the media from that drive (movies, photos, music) and let you browse through them and play them on your TV. What sets this device apart for me is that it has gone beyond other similar devices like the LaCinema Premier, or Apple TV. I’ll explain below. 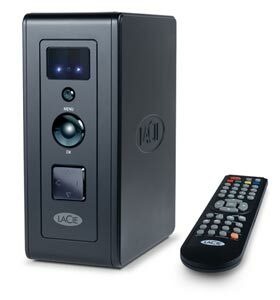 The LaCie product, for example, doesn’t play as many formats as WD TV, and can only support NTFS and FAT32 file systems. You’re limited in the amount of content you can play with LaCinema Premier, since the drive is integrated within the device itself, and because not as many video formats are supported (see the specs on the LaCie website). That means you have to lug the whole thing from your home office to your living room, re-connect it at each place, and copy files onto it when you want to refresh its inventory. The remote also leaves something to be desired (too many buttons). You can stream to it, but then you always have to keep iTunes open, and it’s a hassle to remember that, especially when you’ve just sat down on the living room couch and turned on the TV. You also need to be able to troubleshoot WiFi issues in case you’re not getting enough bandwidth and Apple TV playback stutters. You have to add every single video clip you want to play on Apple TV to the iTunes library, and I don’t care for that sort of thing. I just want to store my stuff in folders and browse it from a device (like WD TV). Apple TV has a USB port on the back, but you can’t use it for anything but “diagnostics” unless you hack the device. This is stupid. I can’t use the port to connect Apple TV to my computer and copy content onto it, I can’t use it to connect an external hard drive to it and have it read the content from it (like WD TV), and it just sits there, unused, unless I pay for a hacking device like aTV Flash. It overheats like crazy. It can burn your fingers if you’re not careful. I love the design of Apple TV and its diminutive remote. I love the fact that I can swap remotes between it and my laptop if I want to. I think the on-screen menus are well done. I also like the fact that it can stream Flickr photos and YouTube videos, but these extra functions are just that: extra-neous. It simply cannot do its basic job well, and that is to play my media conveniently. I’m not alone in being frustrated with it. Thomas Hawk has written repeatedly against Apple TV, and for the very same reasons I describe in this post. Steve Jobs recently said he’s not sure what to do with Apple TV. He’s treating it like an unwanted step child. It’s not listed in the Mac product lineup on Apple’s website. It sits off to the side in a section of its own, and you have to do a search for “Apple TV” in order to find it. Corrected 11/11/08: It’s listed in the iTunes and More line-up along with the iPods. For one thing, Mr. Jobs, you can stop being so greedy in your approach to the device and let people use the USB port on the back. Or how about letting people stream Netflix videos with it, so they don’t have to buy a separate device? I’m a Mac user and have a Netflix account. Until Netflix release Roku and opened up its streaming program to Mac users, I was in the dark. You probably don’t want to do these things because it’ll cut into your video rentals and purchases, and you like that extra revenue stream, but the fact remains that sales of the device will always remain low if you insist on hamstringing it. 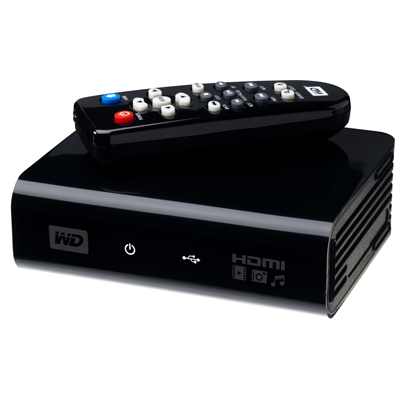 The WD TV Player, on the other hand, is made to suit most people. It has a USB port where you can connect most external hard drives. It will read NTFS, FAT32, and HFS file systems too. (I found that out from WD Support, because the info isn’t listed among the specs. They pointed me to KB article #2726.) There seems to be an issue with HFS+ file systems, but they’ll still work, only differently. I’ll have to look into that later. Also not listed among the specs is an Optical Audio port, but when I look at the back of the device, it seems to me I can see one there. To me, WD TV is the long-awaited answer to my media player needs. At around $99 (street price), this is one device that will make its way to my Christmas stocking pretty soon, because I’ve got a Drobo full of content I’d like to play my way, not to mention that I also have two WD Passport drives. I may even get one for my parents, to replace their Apple TV. They’ve had to keep their Drobo connected to their iMac in the home office, with iTunes open, all this time, just so they could watch a movie or two from the Drobo. That’s not right. Once I get the WD TV, I can take their Drobo, put it in the living room, and hook it up right there, without worrying about WiFi, streaming, iTunes, and a whole bunch of nonsense. Apple dropped the ball with Apple TV, and WD picked it up and started running with it. Video: MPEG1/2/4, WMV9, AVI (MPEG4, Xvid, AVC), H.264, MKV, MOV (MPEG4, H.264). It will play MPEG2/4, H.264, and WMV9 videos up to 1920x1080p 24fps, 1920x1080i 30fps, 1280x720p 60fps resolution. That’s awesome. I plan to get one soon, and I’ll let you know in this post if it lives up to its specs and my expectations. If you’d like to get one too, Amazon lists them. See below. Previous Post Congratulations, President Obama! Apple tv isn t capable to run 1080p content.Still slow and buggy processor like an old step of Intel celeron. WD tv Use sigma chip to decode 1080p 24p content fluently. Too much money to buy Apple products:common hardware with futuristic design;doesn t make sense also for Imac family to pay a lot of $$$ for un-upgradable System. I recently added a WDTV Live and a Patriot Box Office to my collection of media players. 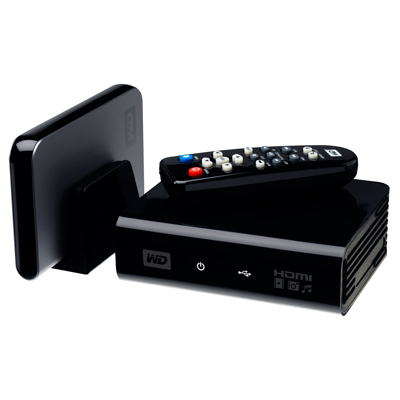 The WDTV live is similar to the WDTV but has an upgrade processor and Ethernet. It can access the Internet and use sites such as You Tube. It uses an upgraded processor from the same company as does the WDTV. It streams fine and supports HFS+. The Patriot Box Office is similar to the Mvix Ultio but uses a 2.5″ internal drive. It is based on the Realtek chipset. Essentially there are 2 major groupings. Those based on Sigma Design and those based on Realtek. If you don’t want an internal drive then the WDTV Live is great from the Sigma Design side. The Asus O!Play would be my choice from the Realtek side if you don’t want an internal drive. Both have 2 usb2 ports. The O!Play also has one of the USB ports which doubles as an E-Sata port. The Asus product is less expensive. Picture quality is similar for all of these and they all display 1080p via hdmi. Then there is the Apple TV which is still my favourite and the unit I use the most. The Apple TV has audio and photo capabilities which are far superior to those of the other groups. Video on the ATV is for practical purposes best at 480p which is DVD quality. It will do 720p but the encoding has to be the Main profile of H.264. I still feel most of these players have no future, except for the ATV and perhaps the WDTV, though WD is really in the hard drive business. The least expensive now is the Asus O!Play. Amazon has a great special on the Patriot Box Office. I have a 500 gig passport and 1 TB My Book full of pictures, movies, and music. I love being able to access both hard drives simultaneously – I can play music from one and view pictures from another. I can even make playlists. Philip, that sounds really interesting, though it’s also not as trivial as you put it. I’d love to have the step-by-step approaches you mention. Can you perhaps write them on your website and give me the link? If you don’t have one, I can publish them here on my site, giving you credit, of course. The software modifications are what I need to understand better. I get the hardware upgrade, but I don’t know why you need the separate drive case, since you’re just swapping a 2.5-inch drive for another. Raoul, the physical opening is easy. There are pictures for this. I can provide links if you don’t already have them. You start from a bottom edge and slowly pull the rubber pad off without tearing it (it’s really easy). Then there are some obvious screws. They come off and the hard drive is there. I can provide more details if you want to go that route. I went from the 40gig to a WD 320gig drive. I needed a 2.5 ide to usb external case (no power) which cost $10. The software modification is the part that is really easy. Basically use the free patchstick at the google site (will provide exact link if needed). Boot ATV from it (you need a USB flash drive). Install software menu and bin tools. Start ATV. Upgrade software menu (it’s obvious and from the ATV). Then install Perian and nitoTV. Once those are installed you have to decide how you want to run your videos. Via iTunes or bypassing that. You’ll want to run the nitoTV Smart Installer to give you networking and usb access. That’s pretty well it. I can provide a step by step approach once you tell me what you want to do. There is a tool to clone the internal Apple TV hard drive to a larger one (it’s free and point/click) now – I used dd and gpt which was tricier but I wasn’t aware of the clone tool. Optional: Use iTunes to sync your xvid files – trivial especially if you use VideoDrive (beautiful softwre which also gives you metadata). Philip, I’d love to hear more about your proposed modifications to the ATV. How did you open yours up? Is there some step-by-step tutorial for this? I added an Asus O!Play to my mix of media players. It is based on the same Realtek chip that the Ultioa and many other media players are. It’s very similar to the WDTV Live with ethernet, usb, esata and Linux based. No internal hard drive and no wifi. I now have a new Mac Mini, MVix Ultio, Asus O!Play and Apple TV on my TV (eventually some will filter to other TV’s). The Apple TV has a 320 meg internal drive and a 1TB external USB drive. It’s silent and shuts down the external drive when not accessing it. Without using XBMC (which is better than Boxee for media) a 5 minute operation opens the ATV to every type of file except of course high profile HD stuff. In Canada recording HD programs, except over the air, is impossible. So recording PPV, HBO, etc…in HD can’t be done (there is a hole which allows it via the Hauppauge HD PVR over component but that has its own issues). Despite its age the Apple TV is still far more useful to us than any of the other systems. It uses very little power, is silent and has a proper standby mode. All of these media players have the advantages and there doesn’t seem to be an optimal solution. The Apple TV is very close however, especially if we are talking about legitimate use. It will be interesting to see what Apple has in store for the ATV. The WDTV Live in Canada seems to cost 50% more than the Asus O!Play. To repeat myself, the modifications required for the ATv to play most stuff are trivial and take 10 minutes and are free. It can all be done with even using the terminal. Downmixes DTS, access files over your network, Youtube, Flickr, Pandora. I’m picking one up at Best Buy this afternoon. Meant its and not it’s. iPhone seems to have a mind of it’s own! Just a minor addition to the Apple TV information. I have connected a USB drive to it and it works great. The drive can be on and not interfere with the booting process. So at this point a very trivial modification to the atv gives you a far more capable device than the Western Digital device, which has it’s own set of problems with certain types of files and does not network and stream easily. The atv player does not handle 720p+ h.264 files encoded at a high profile. Many tv recordings are in that format. I bought a $169 box called the mvix ultio which plays back anything, takes 3.5″ drives, supports external USB devices and streams. It has played anything I could throw at it and I really like it. Nevertheless , I still prefer the atv. There are many of these media players around now. None of them integrate as nicely with a home network as the atv(well the ps3 and xbox game consoles are great too, but expensive). Yup, unfortunately there isn’t a “best” solution out there. Every device I see has its limitations, whether it’s in the hardware or software design, or in the hardware or software capabilities. Still though, I think that for under $100 bucks, the WD TV is a great little box which does most things I need it to do. I just bought an AppleTV and it had technical problems with my network. Apple support had no idea what was wrong. I then read the apple forums and found hundreds of people reporting constant problems. Overheating, white blobs on the screen, reboots, authentication problems (e.g. movie not authorized), sync problems, corrupted iTunes libraries — the list seemed to be endless. When you have this many problems with a product it is usually due to an initially rushed delivery followed by corporate neglect. It is clear that the ATV is being neglected by a corporation that couldn’t care less about it. They obviously have the capability to address the bugs as they did with the iPhone. Ironically, I purchased the ATV because I didn’t have time to debug the various linux solutions and figured Apple would be reliable. It will be interesting to see how reliable the WD box is. I think that any vendor that can make an inexpensive box (less than $200) with modest functionality that “just works” will do quite well. Interesting article. I was wondering about the WD media box. I almost got one but the lack of support for HFS+ and no networking was a negative (there are many positives). I did get an AppleTV with a 40gig drive. I have a Drobo with 4 1TB drives and an Apple Airport Extreme Base Station (bought in 09). The ATV can stream off the Drobo connected to the AEBS and can handle virtually any type of file you can imagine, even without installing XBMC (which is very nice on the ATV). The key to making the ATV useful is to open up ssh which is trivial. Once that is done you then install nitoTV and SoftwareMenu. At that point everything can be done by virtually anyone. So, for example I can stream from iTunes divx files which are placed there by the excellent VideoDrive (no transcoding required), or play xvid files streamed from a wired DNS-323 (NAS from dlink), stream music, etc…It’s all very trivial and it’s not something you can do with the WD unit. The connecting of an external drive to the ATV seems trickier unless you don’t mind connecting it after the unit has booted. The necessary files are installed by nitoTV. I haven’t done it as I don’t really see the point (if one wanted to play stuff of an isolated media player connected to a hard drive then the WD unit would be the way to go). The ATV is not perfect. One of the reasons why there have been so many restrictions has been the constraints placed on Apple by the media companies. WD doesn’t have to deal with that yet. Nevertheless, the barriers placed on the ATV are really not hard to deal with and they are available for free. As things evolve the WD box will not really move forward in any of the ways the living room is headed. It’s a temporary solution like the divx players. Nice price though and pretty neat. Just not forward looking. Mediasonic and others have had this sort of thing for years. To all those who want to put the WD TV on their home network: I’m glad to say you can finally do it! There’s an unofficial firmware hack that will let you do it, and you apply the hack the same way you would upgrade the unit with the regular firmware. See this article for the details. I think the WiFi option would have pushed the price to $150. It would have been nice, but I like the fact that you can get one of these for under $100. It makes it affordable for a lot of people and given its really neat functionality, I think that’s great. I came past this article from your new one about hooking the WDTV up to a Drobo. I just bought a WDTV today. It works superbly! I only have two slight drawbacks on an otherwise brilliant piece of kit. There is no file control, so you have no ability to move or delete files. Also (and this is picky) it would have been brilliant if there was a wi-fi connection option. You should take a look at the Sage TV HD Theater. 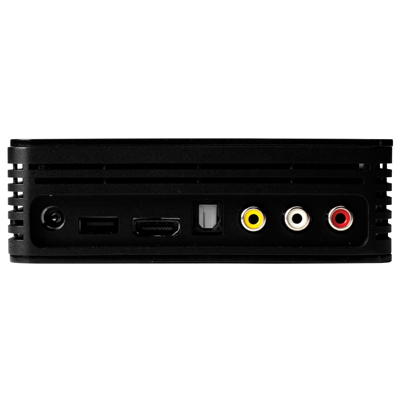 (http://sagetv.com/hd_theater.html) When used as a standalone device, it can be connected to a network and access and stream files directly from network shares or upnp servers. It can also access media on an attached USB device. However (and I think what makes it an improvement on the WD TV device), it can also act as a remote interface (extender) to the SageTV media center software. Here’s a link to it’s manual: http://download.sage.tv/SageTV_HD200_Manual.pdf. In addition, it can still access YouTube + podcasts when acting in standalone mode (it can also do this when acting as a SageTV extender). I use SageTV, but have the older, SD-only version of the extender. Below this is more information about SageTV. If you already have a server running and want to add PVR functionality, SageTV is a good way to go. 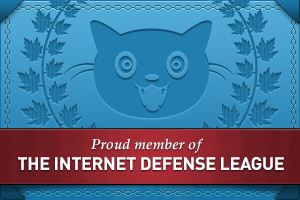 They support OSX, Windows, and Linux. I love that it works with cheap, low-power extenders. SageTV isn’t perfect though. It currently can’t access Netflix or Hulu, the developers are not “open” to the community like a lot of other companys, the default interface is nasty (but there is a great free alternative). It works great as a PVR. The “media center” type functions are a bit basic, but definitely functional. It’s still a bit hackerish, but it doesn’t have to be and among the various PVR / media center solutions out there, it seemed to be the best to me. I really like the fact that you can have one interface to all of your media (they also make a software extender called placeshifter) on all of your displays. Well, almost all your displays; mobile support isn’t officially supported yet, including iPhone / Touch. It also doesn’t do multi-room synced audio. In addition, the cost of the software is reasonable ($80) and upgrades are free (at least for now? ), and the support (officially and through the forum) is helpful (although there’s no phone support, only email). I don’t work for Sage and I’m not paid by them, I’m just a happy user of their software. Yeah, that makes sense. Just wanted everything ultra optimized 🙂 Thanks for your replies! Not aware of any other consumer-grade NAS devices that do this. It is quite possible though, that there are enterprise-grade NAS devices that can do it, although the prices would be prohibitive. Personally, I just don’t find it that much of a hassle to disconnect the drive from the WD TV once every few weeks and copy some new stuff onto it. Remember, the bigger the drive, the less you have to worry about it. Go get a 1 TB external drive, copy your stuff onto it, and forget about it. Wow, thanks for your prompt reply! I guess I’ll need another way to do this then? Do you know of any other NAS that is capable of simultaneous USB/Ethernet connections or I am asking for something that is not easily doable? Hmmm .. thanks! I have a question regarding the WD TV and Drobo. If I connect Drobo to the WD TV via USB can I also have Drobo connected to Ethernet simultaneously? That way I can add new videos to Drobo without disconnecting it from the WD TV and then connecting it to a computer and then connecting it back to WD TV all through USB only. Walter, that’s something I haven’t tried out. The way I understand it though, if you connect a Drobo to a DroboShare, so it can be on your network, you cannot at the same time have it connected to another device through USB. There’s only one USB cable on the Drobo, and it’s either got to go to the DroboShare or to the WD TV. So the answer would be no. It may be mentioned above, is it networkable? If I can only connect external drives via USB, it’s going to be a hassle to get new media to the device. The price is great, though. Allan, it’s not networkable. But I haven’t found it to be that much of a hassle. I use a main hard drive whose media I replenish every few weeks with stuff I want to watch, and then I use USB sticks to watch a movie or a clip whenever I want to. I just copy the file from my computer to the USB stick and plug it into the WD TV. It only takes a couple of minutes, and works great for me. What a terrific article and the insighful discussion. I wanted to get an apple tv for a long time but was hold back due to it limitations, (mainly not able to connect an external hard drive to the usb port and watch content from that hard drive. I recently bought a WD TV, and it do exactly what I wanted. I also wanted to get a ATV (because of streaming pictures and podcast), and want to know if with a hack ATV, if it will be able to do what a WD TV can, which is just watching content from the external hard drive, with out having to stream from ITUNE. Thank you very much. I bought the WDTV and think it is great. One thing I really like is that it plays my DVD ripped movies from an ISO file. I want to to connect the WDTV to a DROBO and load up the DROBO with my ISO movies, but I have not been able to find out of the WDTV will support DROBO. 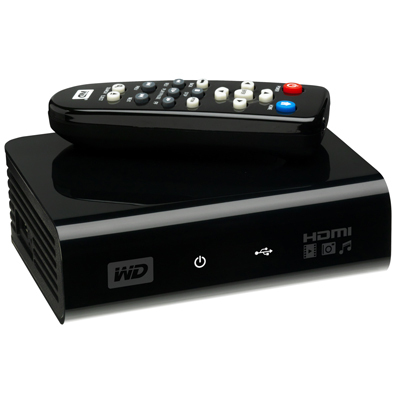 Have you heard of anyone using WDTV with DROBO , or have you tried this yet ? Please let me know if this works together. Craig, it’s quite possible to do it, and I have done it. There are a couple of caveats though. One is that the WD TV will only support volumes up to 2 TB. If your Drobo is formatted as a 4TB volume or larger, it won’t be recognized. Perhaps WD will release a firmware upgrade at some point, but right now all volumes connected to the WD TV need to be 2TB or smaller. The second caveat is that the WD TV will only work properly with volumes formatted in NTFS, FAT32 or HFS. My Drobo was formatted in HFS+. The WD TV still recognizes it, but cannot aggregate media information on the drive, so you have to browse the volume by folder instead of going right to movies — which actually works better for me. And if your Drobo should have a greater capacity than 2TB, which is the case when you have 4 1TB drives in it, the WD TV will recognize the second volume and mount it as a second USB drive automatically. Dan, the WD TV should work just fine with those files. It does with mine anyway, and most of them are MP4 videos encoded with the ffmpeg or H.264 codecs. 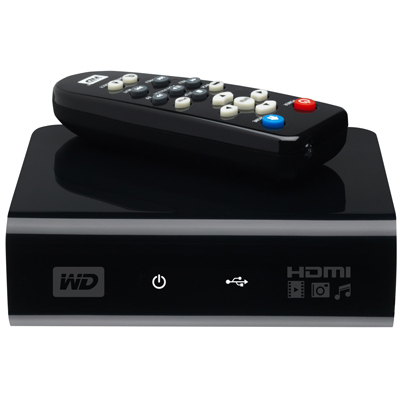 Ivo, WD TV only supports the following file systems: NTFS, FAT32 and HFS (not HFS+). I suspect that’s what’s causing the bug on your end. quick question i have over 1TB or Itunes formated video files all decrypted or converted by myself would the WD TV work with those files? I need some help with my WD TV – whenever i switch it on I get this message on startup “media library compilation requires more storage space:[3814MB]”? I have an HFS+ drive with 800GB left. It lets me continue on past this point it just comes up with this error unless I turn the media library off. I don’t have journaling enabled and I’ve set all permissions to read & write. Nice. WD TV looks like a great “out of the box” solution for pairing with a hard drive. I mean seriously, with so many of us having so many HDs full of crap, the last thing I want to do is plug them all into my computer every time I want to watch or SHARE something. Last time I checked, watching all my HD or subtitled media was much more enjoyable from the seat of a comfy couch/chair on a large screen and REAL speakers vs my PC. Nice discussion in this thread. I have an AppleTV with the patchstick software running to allow for a USB drive with my media and other functions. I just got the WD TV today and it is 1000% (yes, I did add that extra zero) better for my needs. The AppleTV patch is buggy and the thing would restart often enough to find it annoying. I don’t stream music or pics from my PC nor ever planed to. On top of all that, the appleTV runs so hot that I would unplug it when I wasn’t using it. That meant that it was 2-3 minutes to boot, then 2-3 minutes for the HDD to show up. The WD TV turns on in about 3 seconds, it play HD files (!) and doesn’t flip out all the time. cdude, Boxee looks interesting, and what you’re saying makes sense, to a limit, but I need to point out that computers DO use energy if you leave them on. A computer that’s turned on will use as much wattage as is indicated on its power supply, or in the case of iMacs, as much as it’s written in the specs, which is somewhere between 150-250 Watts. The only cases when computers use less energy are when they’re in standby, sleep, or hibernation. For example, when a Mac sleeps, it still uses about 6 Watts of power. But in order to have iTunes running and streaming content to your Apple TV, the computer needs to be on, and it will use full power. We here in America haven’t felt the price of electricity yet. It’s still fairly cheap for us. In other countries, people cannot afford to keep their computers on all of the time, because it costs them quite a bit of money to do so. When you look at the bigger picture (and I hope you’re starting to see it), it makes much more sense to have a little device in the living room, next to the TV, where you can plug in a hard drive when you need to watch movies, then turn it off. The energy footprint is minimal that way, and it’s much more convenient for most people. Sure, if you hack Apple TV, you can plug a USB drive in it, but you have to hack it yourself or pay for something extra. The WD TV works with USB drives right out of the box, and it’s only about $100. Don’t count out Boxee. http://www.boxee.tv By installing Boxee on your ATV (which is fully reversible and doesn’t require any actual hacking or permanent modification) the ATV can do much of what you’re asking of it. If you’re willing to do a little hacking, you CAN plug that external drive directly into the ATV’s USB port. I leave my iMac on at all times anyway (don’t most people have at least one computer that’s left on most of the time? Computers don’t use an incredibly large amount of power if they’re sitting there idle and not processing things), so leaving iTunes running is not a big deal. Leaving the big external hard drive connected to the iMac, I can stream my content to the AppleTV nice and easily, and have the content available in multiple locations. (My iMac is connected to my big living room television.) It’s nice to bring a big drobo into the bedroom with the AppleTV, but I’d rather keep the wires and techy stuff with the computer rather than messing up the bedroom also, and picking up the drives and physically moving them from place to place is both risky and annoying. I can see there are some nice things about the WD TV, but once you add Boxee into the equation, I think a lot of your complaints with the ATV can be addressed. No, the round black port on the left side is for the power cable. The gray port in the middle looks to be the Optical Out connection. Could that round port on the back be for a power cable, not for an optical audio out? William, sure, that works fine in your case. But not everyone can afford to have a server running in the basement, especially with electricity costs going up and with this economy being the way it is. It’s much easier to just have your movies on a hard drive, and to plug that hard drive into the WD TV when you want to watch a movie. Techies will always find ways to work with technology in interesting ways. But most people need a simple solution to play their media, and I think WD TV delivers. The WD TV is cheap, but I really prefer the AppleTv because of the streaming capability. I’ve got about 1tb of content on a server in the basement, ripped DVD, stuff I converted from VHS, etc. I really don’t want to have several external drives full of stuff in the living room (gotta back that up too). I also like the fact that I can have that server stream content to several AppleTVs around the house. I occasionally like to browse YouTube on the AppleTV. I see the AppleTV as the more flexible and useful device. A friend from work purchased one. We have a Sony Bravia 52″ at work. He brought the unit into work and hooked it up. He loaded a Divx video onto a stick and it play. I have a WD Passport 80 with a few videos. We hooked it up and started the latest Indiana Jones movie. Everything worked. One noticable mar is that between chapters there are black frames thrown in. It does not stream seemlessly from .vob movie file. D9, I agree with you that it’s convenient, if you have the money to pay for that content right there and then (and it’s not cheap compared with something like Netflix). But if you’ve already paid for it over time, and have it already sitting on a hard drive, the WD TV is perfect. It makes it much easier to play that content than Apple TV. I, for example, have hundreds of movies already, part of which I bought on video tapes and digitized, part of which I recorded from TV, part of which I bought on DVDs and converted to compressed digital formats. I have all of this media that I’d like to be able to play easily, and Apple TV certainly doesn’t make it convenient. It’s meant as a way for Apple to make money through movie rentals and purchases, not as a way for consumers to play their media easily. I see your point on Apple TV as far as the inability to use an external device as well as alternative video codecs. However, the big drawback with the WD Player is that you have to have the content already available; otherwise, you’re going through a computer to download new content or requested content first before it can become available to the WD Player. Apple TV, on the other hand, offers on-screen movie rentals & purchases as well as TV show purchases. For movie rentals, usually within 5-10 minutes you can begin watching the movie. All done directly on the Apple TV. You by-pass the need for a separate computer or drive to be available. So I see this as a big advantage over the WD Player.